Designed with modern elegance and charm is this stylish rectangular cocktail table from the Helix collection by Magnussen. 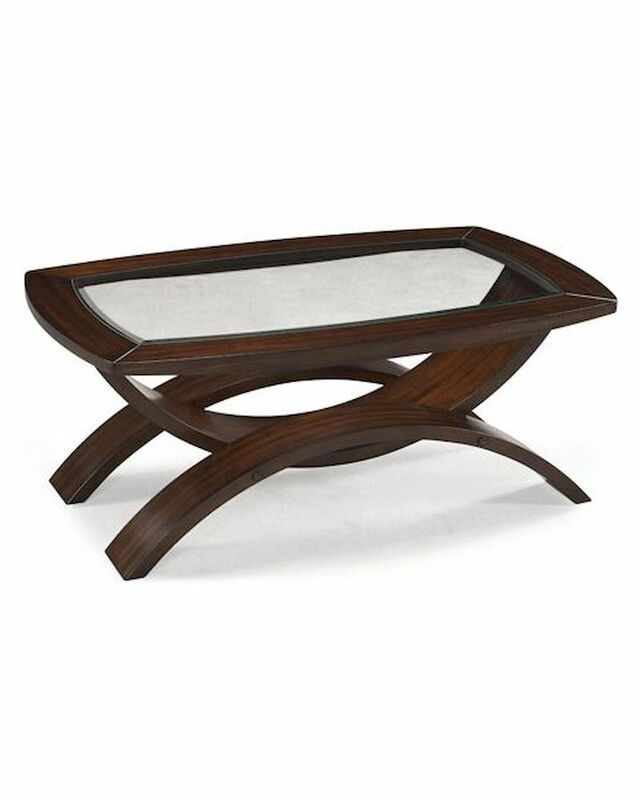 Crafted from quality walnut veneers and MDF (medium density fiberboard), the table base is formed by three intersecting arcs, with two arcs at the bottom for a firm base. The beveled rectangular glass top with rounded corners can be used to serve special drinks and treats for special occasions. Complete with warm hazelnut finish, this classic table is sure to attract a lot of admirers.